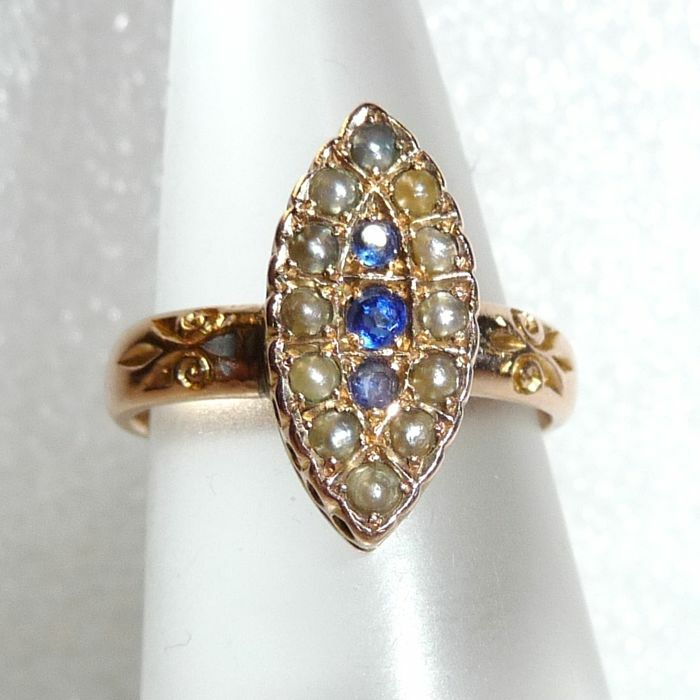 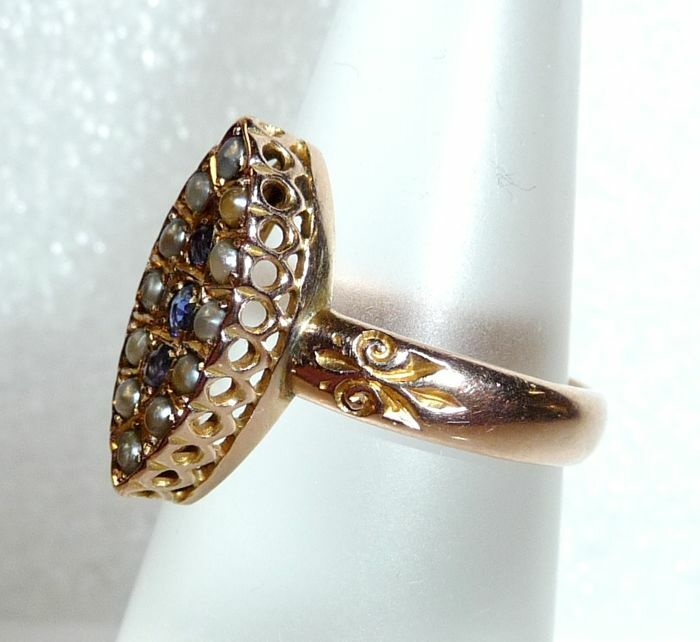 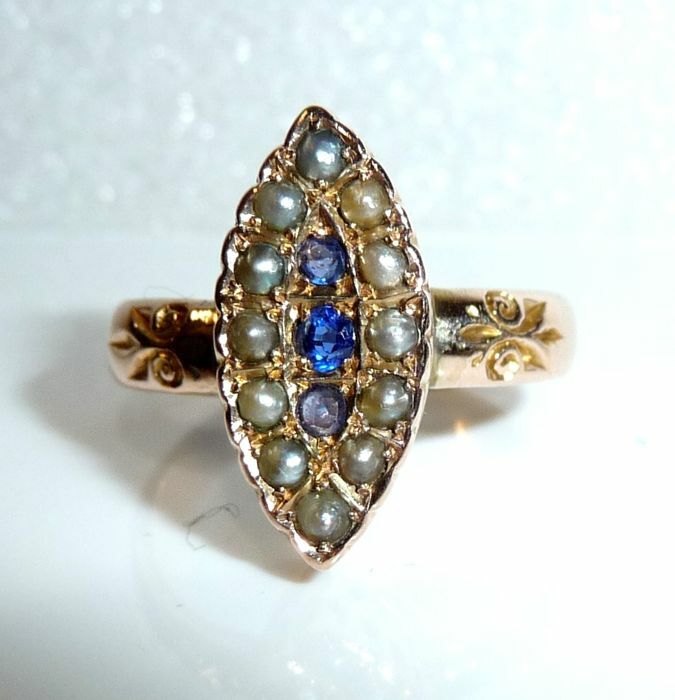 Antique ring in 8 kt / 333 gold. 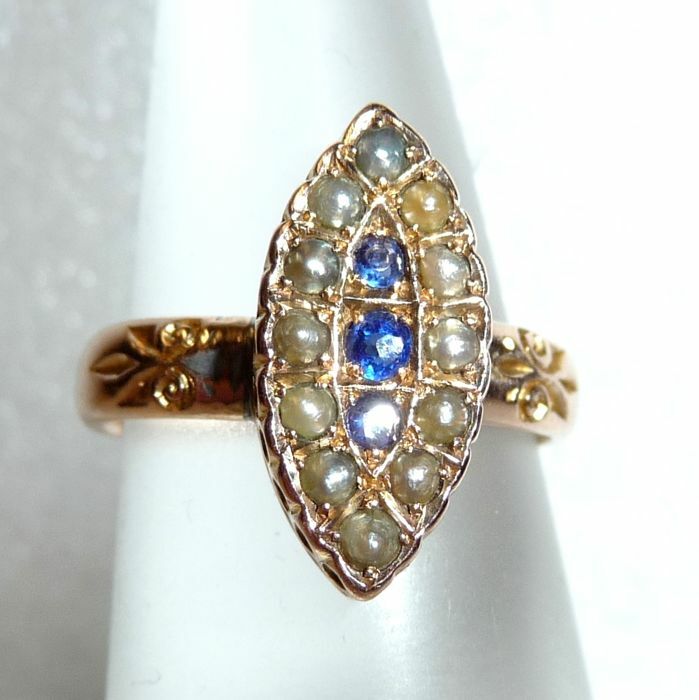 The ring head is eye-shaped. 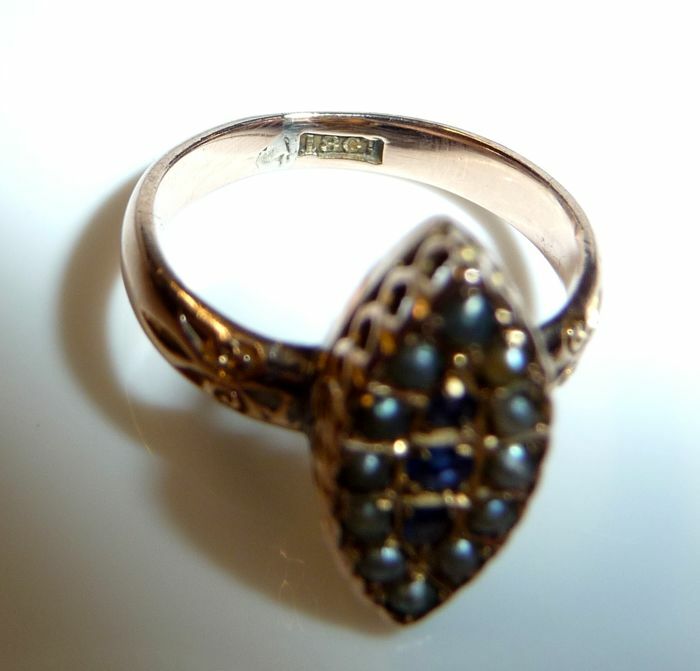 The flat surface is set with a total of 12 small, naturally grown seed pearls. 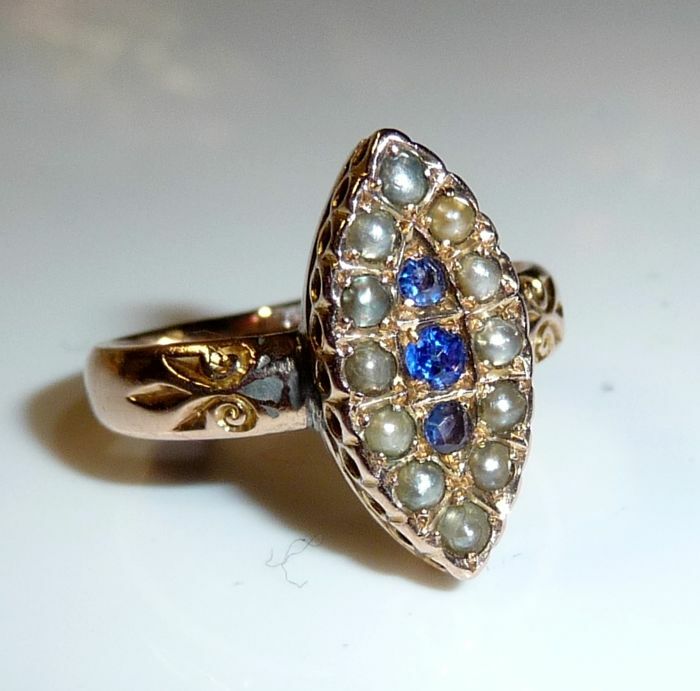 The inner line consists of 3 natural sapphires totalling approx. 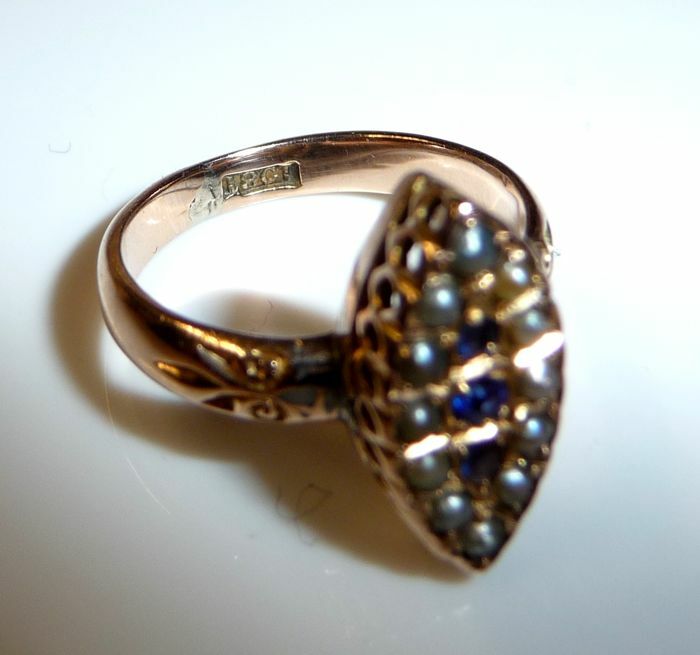 0.10 ct. 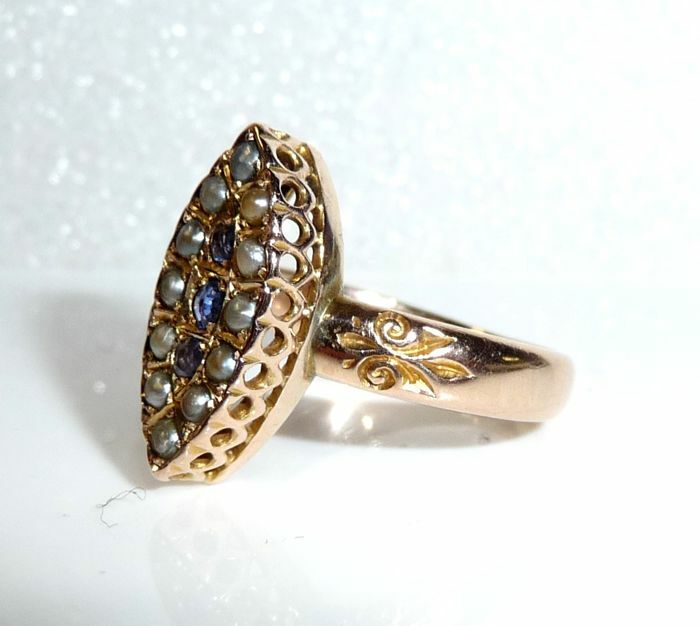 The sides of the ring are adorned with a hole pattern. 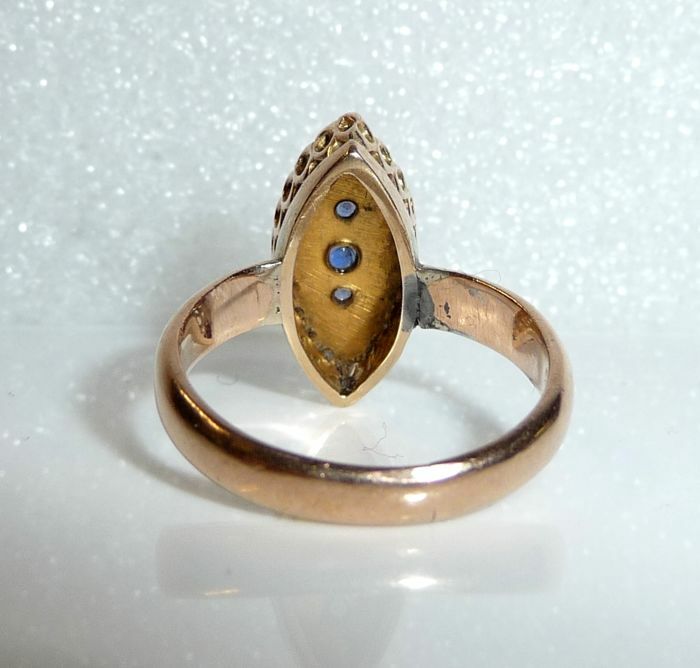 A robust ring band with engravings on the ring shoulders is attached.